Home Blog Is Arch Height Relevant? I talk with athletes on a regular basis who tell me they can’t wear certain types of shoes because of their arch height. 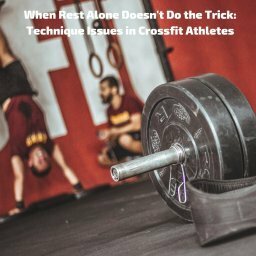 This comes from the runners, CrossFitters, and OCR athletes. Another common trend is the thought of the inability to be barefoot because it either will cause pain or it will cause flat feet. I have news for you. Arch height doesn’t matter! 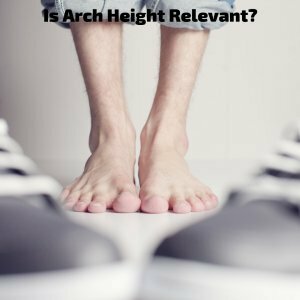 Arch height is typically not a contributor to your foot issues. For a small percentage, this may be true, but this is not the majority. I see the same issues and injuries regardless if a human has high arches, flat arches, or anything in between. 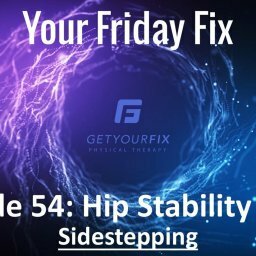 You can seek out shoes that you think will be best for your foot, but unless the issues are addressed on a very basic foot strength and control level, the issues will continue to occur in your body. Yes, there are ways to support and brace the foot through orthotics and shoes, but those essentially cover up the issues for a period of time and eventually create other issues/injuries in the body. 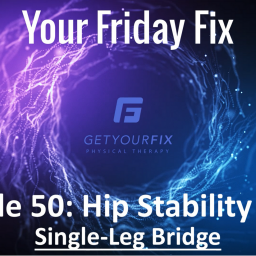 Most foot and ankle injuries are due to both mobility issues in the ankle as well as weakness and instability in the muscles in the lower leg and foot that control what our foot does when it is on the ground. Regard less of your arch height, these issues are present in most humans. Primary reason (in my opinion) is the shoes we wear. Most shoes are made with a slightly elevated heel, also referred to as a drop. Even those shoes you think are flat have a drop to them. Take men’s dress shoes for example. Many of these actually have a ½ inch differences between the heel and the toe. Traditional running shoes tend to have around a 10mm drop, some up to 12mm. And don’t get me started on the many different types and heights of shoes that women wear. This drop can contribute to our ankles being stiff in a slightly pointed position. This slightly pointed position creates difficulty pulling the front of our foot up. For most activities we perform – running, walking, box jumps, squats, etc. – we need to be able to get our ankle past a neutral position. Many people are unable to actually do that. Along with that issue, when we wear shoes, our feet do not have to work like they were intended to work. The requirements for the muscles to control our arch and our toes is not there when wearing shoes. 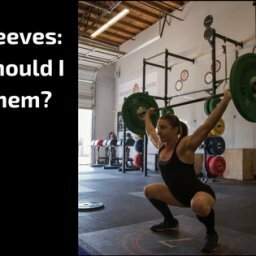 Over time, we develop two issues: 1) the muscles that control the foot become weak, and 2) the muscles forget what they are supposed to do because they aren’t required to do their job on a regular basis. First, creating a more resilient and robust foot and ankle complex is key. 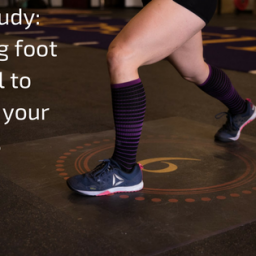 Performing exercises to improve the mobility in your ankle as well as strength in your foot is essential to maintaining a healthy foot and ankle complex to withstand any and all activities you do in your daily life and your sport. 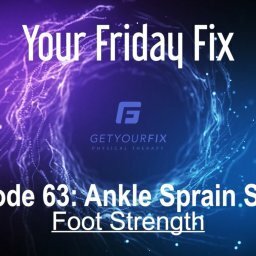 Check out my YouTube Channel at Get Your Fix Physical Therapy for some ways to improve both your ankle mobility and your foot strength. Secondly, be barefoot more often. 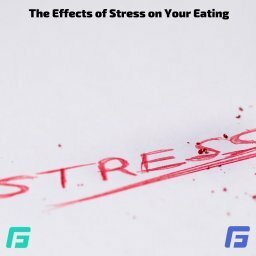 You may not be able to tolerate it for long initially if you aren’t used to being barefoot, but attempt to spend as much time at home without shoes on as you can. You will find the more you do this, the stronger your foot will get and the more tolerant to it you will become. Footwear is also an important element. Ultimately, I would love to see everyone in a minimalist or zero drop shoe. (This is one of my missions in life.) Working with humans on a daily basis, though, I know that is not something that everyone can tolerate. I also know that it can take a long time to safely transition to that point if you choose to do it. I have seen everything from a couple weeks all the way up to 6 months in order to fully transition. It all depends on how the body responds. If you are considering transitioning to a minimalist or zero drop shoe, I advise a slow transition. If you are running in a 10 mm drop shoe currently, pick up a second pair that is a 6-8 mm drop. Run in the lower drop shoe for no more than 10% of your weekly mileage initially. As long as that feels good, increase to 20% the next week. Continue increasing weekly until you can run 100% of your mileage in that lower drop shoe. At that point, you can work to transition to a slightly lower drop shoe again. 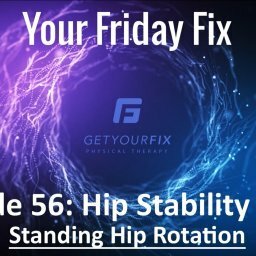 If you choose to transition, it can be a process, but definitely a beneficial one when looking at the health of your foot and ankle, as well as up into your knees, hips, and back. Have questions about your situation and how to transition to a zero drop shoe? Or need suggestions on what zero drop or minimalist shoes to get? 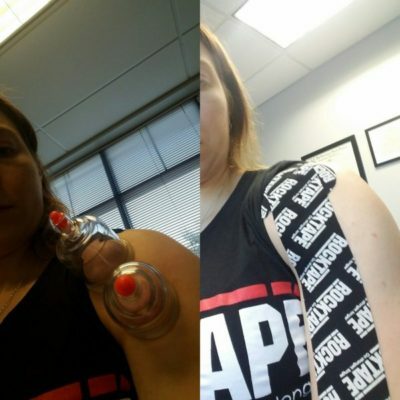 Email me at brianne@getyourfixpt.com.